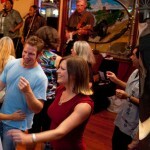 The Swing is a spot dance with a carefree relaxed style and is a dance easily mastered by most people. The various speeds are excellent training for quick footwork and good leading & following which will add comfort and ease in other rhythm dances. After mastering the patterns, both men and women will find Swing a fun and exciting dance to learn and practice. Perhaps the most uniquely American of all dances, the Swing brings forth a buoyant carefree movement. It's one of the dances that becomes contagious. 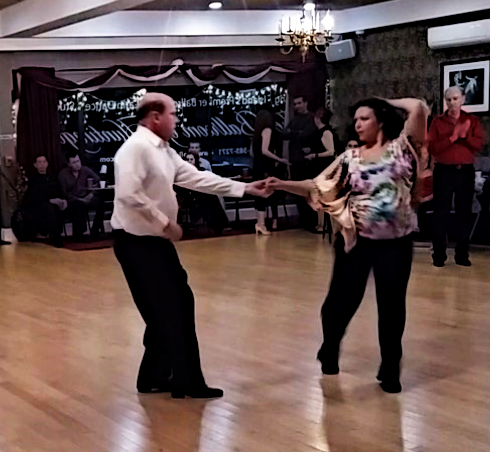 to learn more about the best Swing Dance lessons Suffolk County has to offer! Savoy Swing: a style of Swing popular in the New York Savoy Ballroom in the 30's and 40's originally danced to Swing music. The Savoy style of swing is a very fast, jumpy, casual-looking style of dancing. Lindy: style is a smoother-looking dance. Learn the Push, the Supreme, Imperial, The Carolina Shag and Many more.